Children up to the age of 18 spend the majority of their time away from home, at their schools. Often called a second home for them, an educational institute serves a variety of purposes in a child’s life. From providing them with technical knowledge to socialising and teamwork, schools play a vital role in shaping a kid’s personality and perception. Along with experienced professionals guiding the children academically, a school’s infrastructure plays a facilitating hand in creating a favourable environment for them. The architecture and physical layout of a school should pay special attention to the mental and physical well-being of the students. Buildings, classrooms, labs, and equipment are essential components of the learning environment in schools and colleges. Top-quality infrastructure smoothens instruction, increases student output, and reduces dropout statistics, among other benefits. Schools should be free from sources of different types of pollution – both sound and air. Sound pollution has the potential to distract students while air pollution is detrimental to a child’s health and well-being. These physical conditions can easily leave a negative impact on the student’s all-round development. Student and Teacher Amenities – Suitable temperature, air ventilation, lighting, water, electricity, internet services, sanitary services, and lastly, spacious student common areas. Labs and Specialised Learning Centres – Physics, Chemistry, Biology and Computer labs are compelling platforms for students to learn and grow. These centres impart essential academic knowledge while proving to be a fun and engaging activity for children. Comfortable and spacious libraries promote the habit of reading, and with the rapidly evolving world of automation, children must have access to IT labs for them to harness their technological capabilities. Talent Development Facilities – The major downfall of some institutes is their tendency to focus most of their resources on the technical aspects of learning while neglecting the need for talent development centres. A percentage of students will always be more naturally inclined to creative capabilities – emphasising the need for state-of-the-art facilities like art and music rooms. 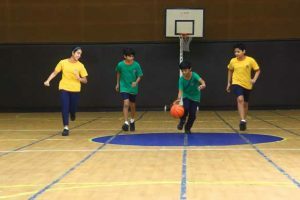 Sportsmen and athletes have had their talent identified and grown at an early age by schools who recognised the need for sports grounds as physical growth and fitness levels of the students must be catered to as well. These co-curricular activities are perfect to stimulate team building activities and develop non-academic talents – which deserve equal attention. According to UNESCO, the school drop-out rate in Latin America is 17 per cent, which is even higher in rural areas. These studies found that the physical state of school infrastructure positively impacts school completion and cycle completion rates and increases registration. However, in most developing countries, policymakers in both the public and private sector often overlook the impact infrastructure can play in improving results for both teachers and pupils. While improving facilities comes at a financial expense, the advantages of such investments often ensure a favourable return on investment. Policymakers, therefore, should focus their attention on adopting a long-term cost-benefit view on efforts to physical facilities. India is a country with many schools offering educational services for the students to learn and grow. However, there are only a few good ones that focus on the holistic development of the children. One such school is Mount Litera School International. 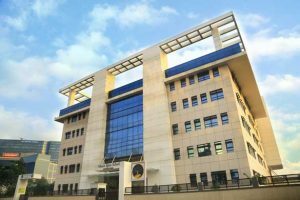 MLSI is an international school in Bandra, Mumbai and was founded by the ZEE Group, one of the leading brands in the country. The school offers not only academic facilities but has a vast campus along with a sports complex as huge as 45,000 square feet. They provide facilities for all kinds of sports that range from basketball, badminton, mini soccer, squash to activities like dance, yoga, aerial silk, Lego and much more. It also boasts of a well-stocked library and well-equipped labs for the students to learn through the practical application of the theoretical knowledge obtained. Moreover, MLSI is a school that emphasises the security of the students by taking all possible measures to ensure that the children enjoy a safe and comfortable school environment. The school follows a well-regulated admission process so that it is convenient for parents to secure their child’s admission. It also features a well-equipped medical clinic with a trained nurse to cater to the medical needs of the students.